The spanking new Multi Purpose Vehicle – Maruti Ertiga from the trustworthy and reliable stables of Maruti India, has been launched with a very competitive price tag to take on all the rivals in its segment. The competition is surely going to heat up with this launch as the Maruti Ertiga price for the petrol version is starting at Rs. 5.89 lakh, while the base variant in diesel is for Rs. 7.30 lakh (both prices ex-showroom New Delhi). This is noticeably lesser than its other rivals like Toyota Innova and Mahindra Xylo in the Indian car market. 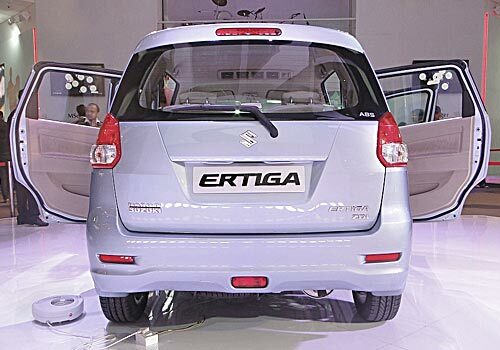 The Maruti Ertiga pictures reveal that the exteriors of this MPV have been inspired from the popular hatch back Maruti Ritz specially the front façade. The head lamps are similar to that of Maruti Swift and this MPV also has a pair of round fog lamps integrated in the front body colored bumper. The wheel base is around 2740 mm and has a set of 15 inch alloy wheels with 185/65 size tyres and a good ground clearance of 380mm. Maruti India has also incorporated first class safety features like ABS with EBD, dual front airbags and engine immobilizer and other comfort features like tilt steering, power windows and a powerful air conditioning system as well. A Maruti Ertiga review states that this MPV is equipped with a new K14B petrol engine, which will debut with it and has the capacity to produce a peak power of 95 PS along with a torque of 130 Nm. While the diesel car will be fitted with a 1.3 liter multi-jet DDiS that can generate 90 Ps of power and a pounding 200 Nm of torque. The petrol car version is expected to give a healthy mileage of 16.02 Kmpl, whereas the diesel version is claimed to give 20.77 Kmpl. This MPV is surely going to be a front runner in its segment very soon. A few other upcoming cars like Chevrolet Captiva, Tata Safari Storme and Volkswagen Jetta are lined up for their respective launches in the coming weeks. 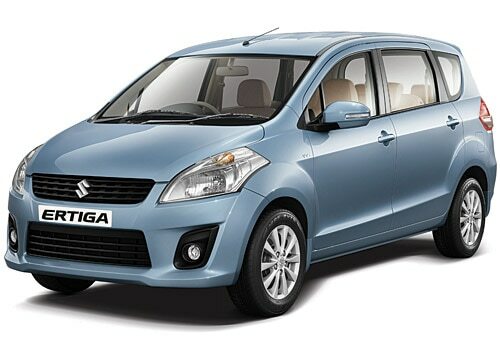 I recently shared the eagerly awaited MPV â€“ Maruti Ertiga to be launched tomorrow and Maruti Ertiga, LUV is in the air.